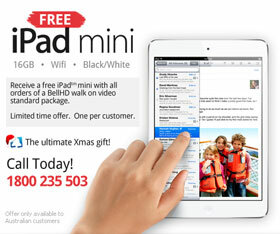 Last week Apple released its latest tablet device, the iPad mini and to celebrate Bell Media is giving out free iPad minis with all orders of the BellHD walk on web video standard packages. 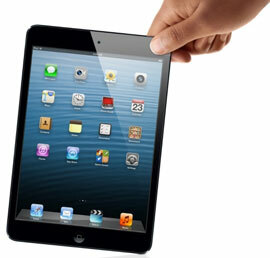 The iPad minis are available in your choice of white or black and they will be the 16GB Wifi only versions. 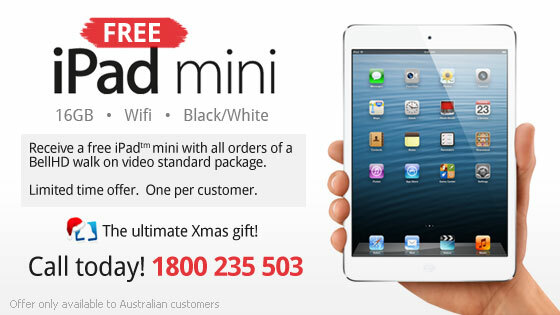 This is a limited time offer and only available to Australian customers. Get your order in fast! With Christmas fast approaching this will make the perfect gift, so be sure to get your orders in ASAP. Call 1800 235 503 for more information or click the free call button on the left. The new smaller lighter version of the iPad mini is the perfect form factor to fit in the palm of your hand and the perfect traveling size for viewing web pages, reading books and viewing videos and photos. With all the same powerful features as the iPad 2 and more it includes the all new iSight camera and 1080p HD video recording.